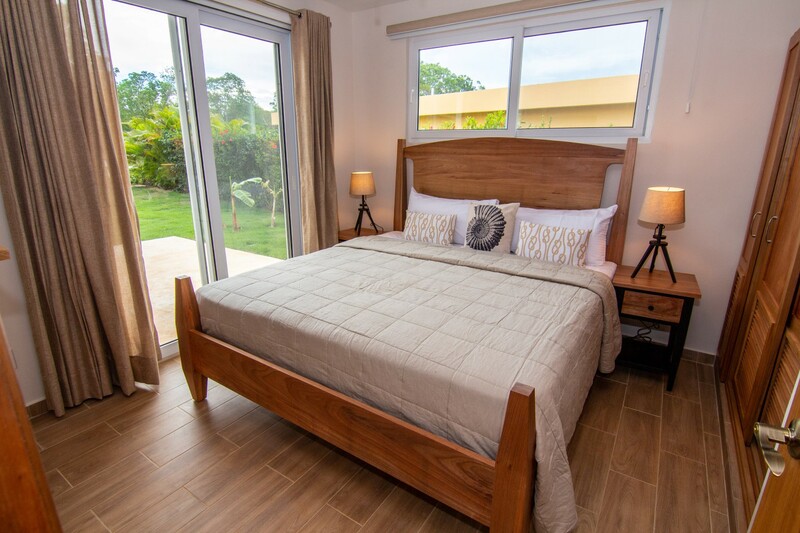 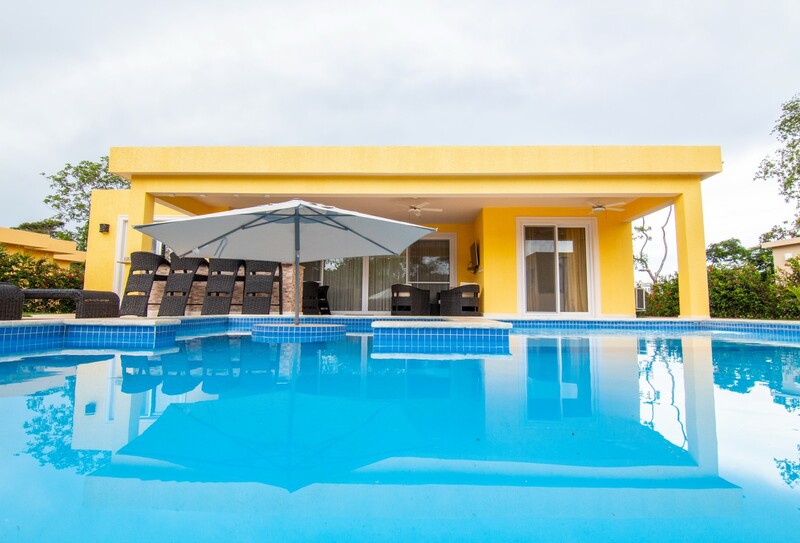 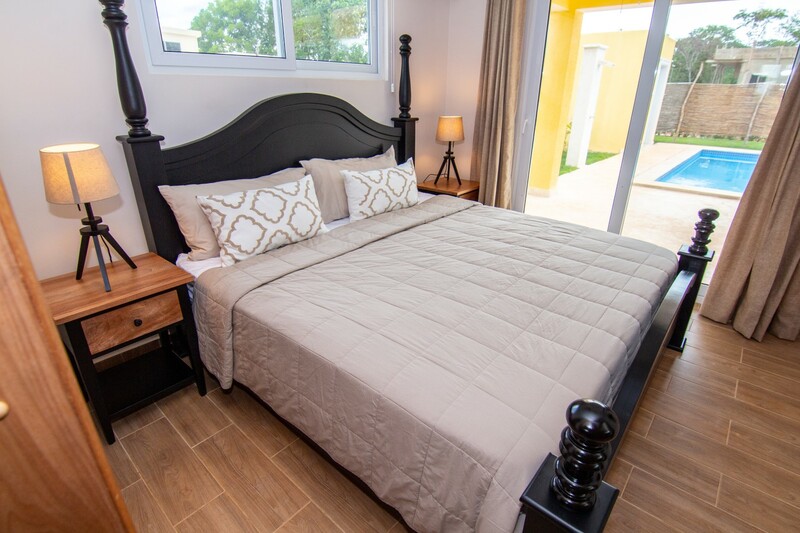 Villa 845 is New out of construction & the King of 2 bedroom rental. 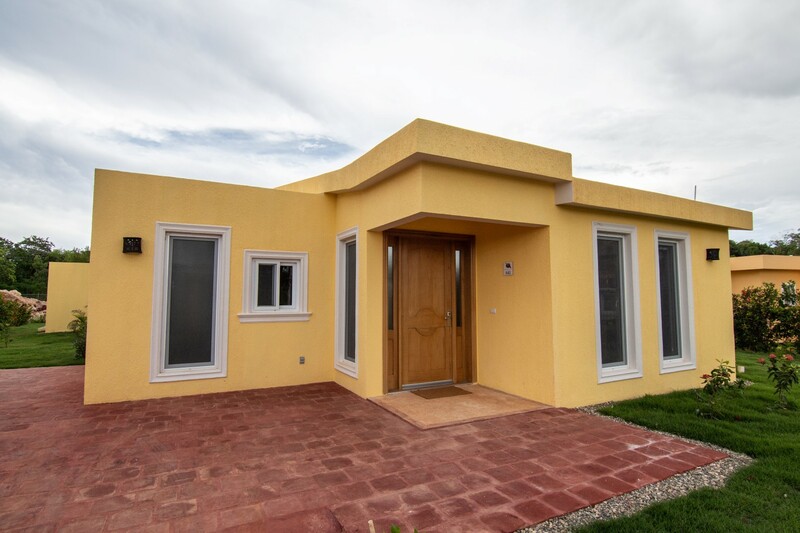 It has the floor space of a 3 bed villa with plenty of room to enjoy your vacation inside and outdoors. 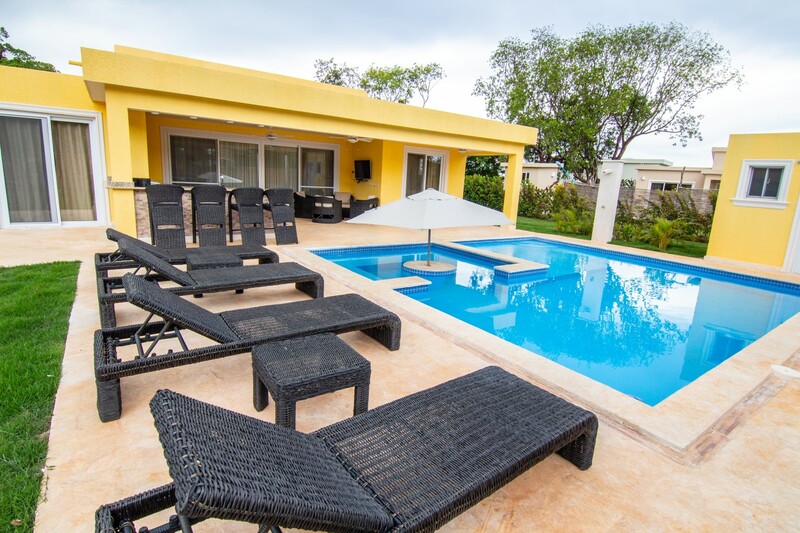 The oversized pool boasts a flat bed where you can relax on a lounger in the water or sit in the built-in jacuzzi with your favorite drink. 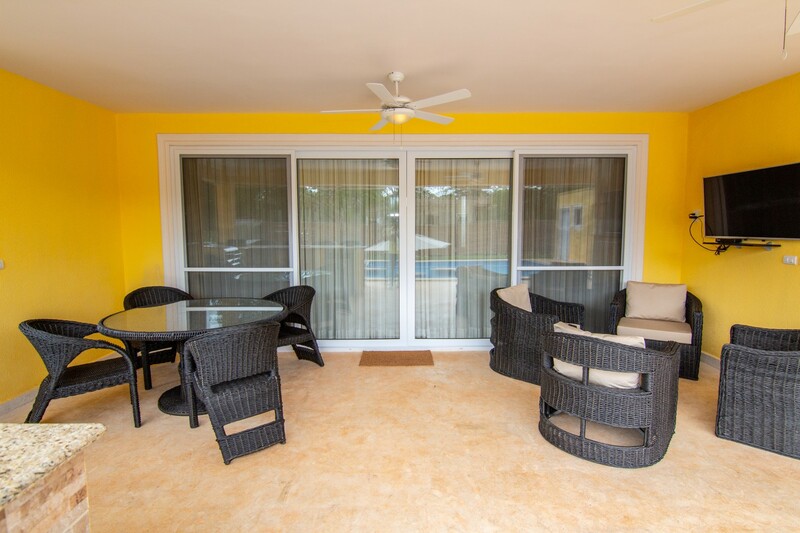 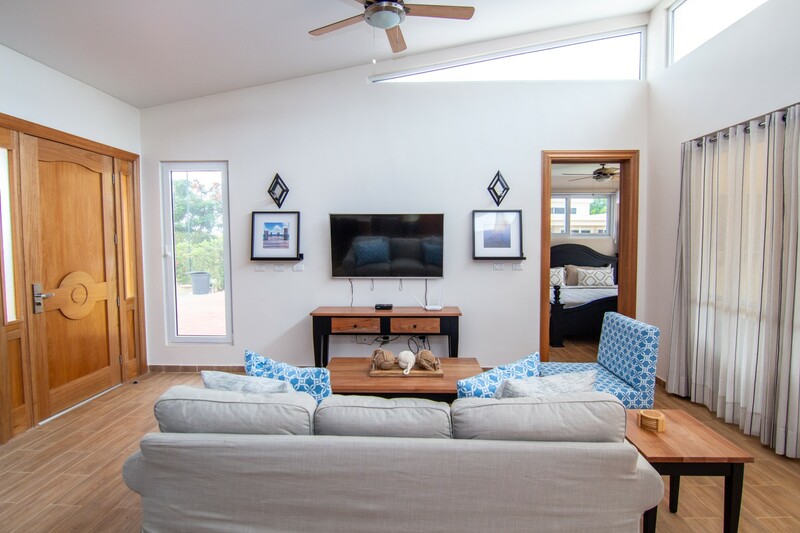 Enjoy the outside lounge area with cable/Smart tv/ Bar area and BBQ station/ sun deck with loungers & dining table. 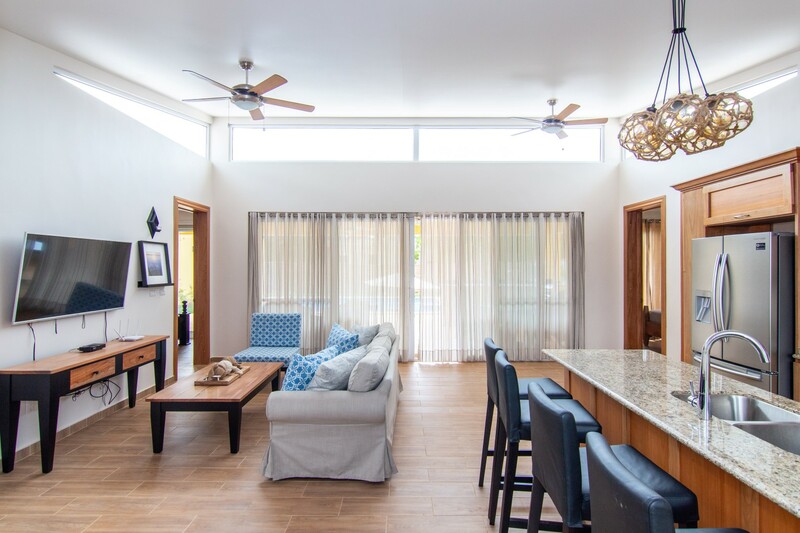 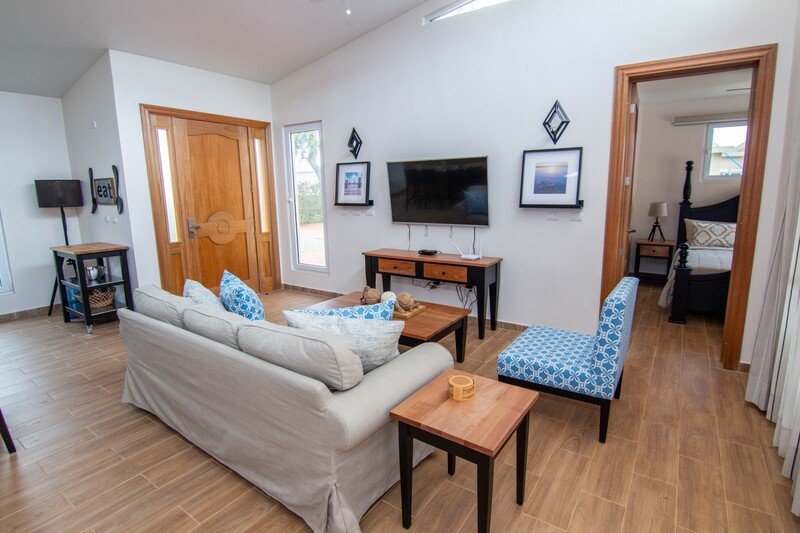 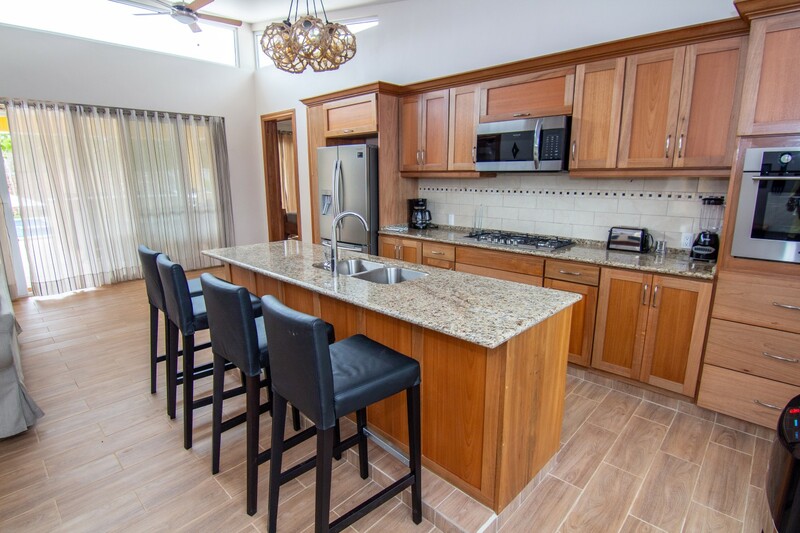 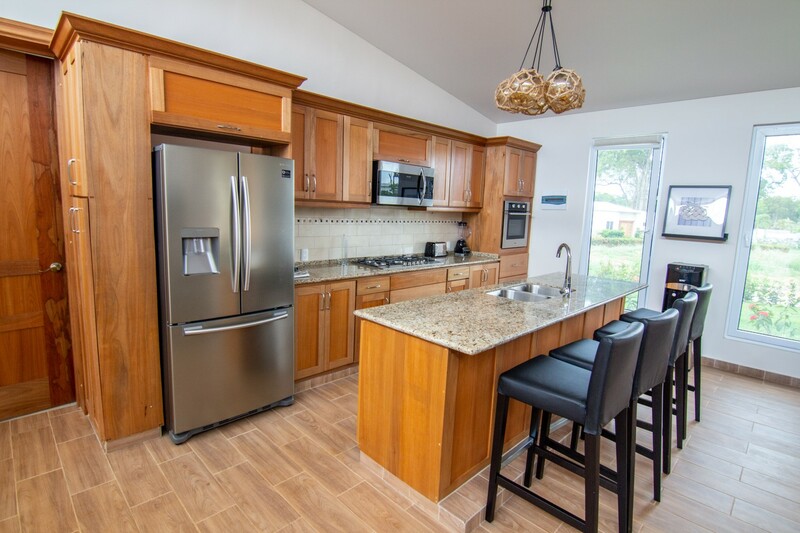 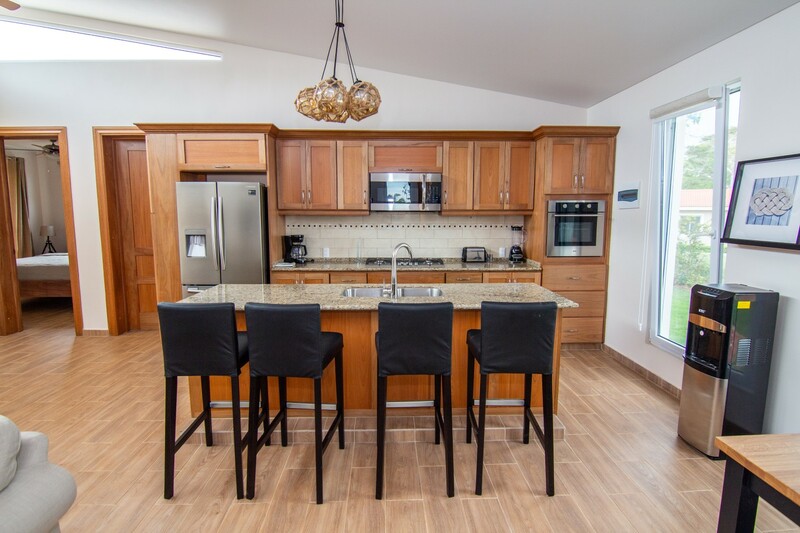 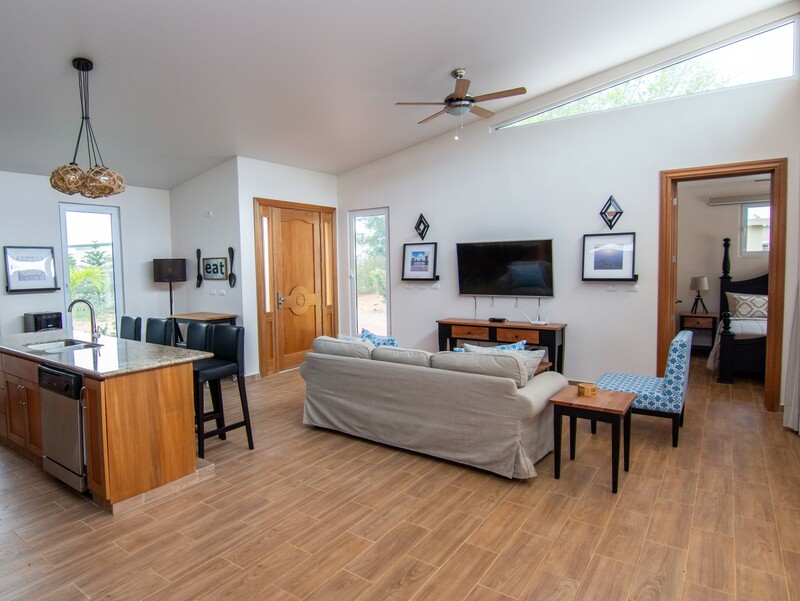 The living/kitchen space is open plan with top of the range appliances,dishwasher/gas hob/separate gas stove/Smart 4K 55” tv and comfortable furniture. 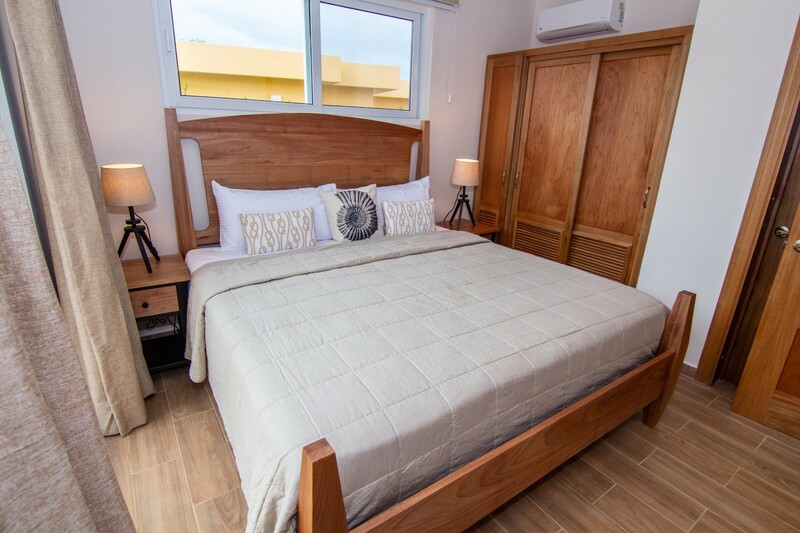 All wood furniture has been custom made to give this home a unique look and relaxing environment. 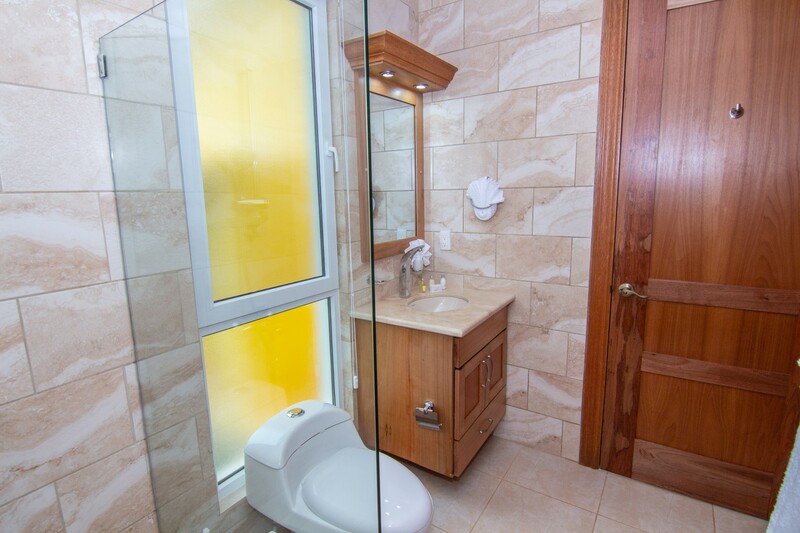 All windows have custom blinds/curtains for your privacy. 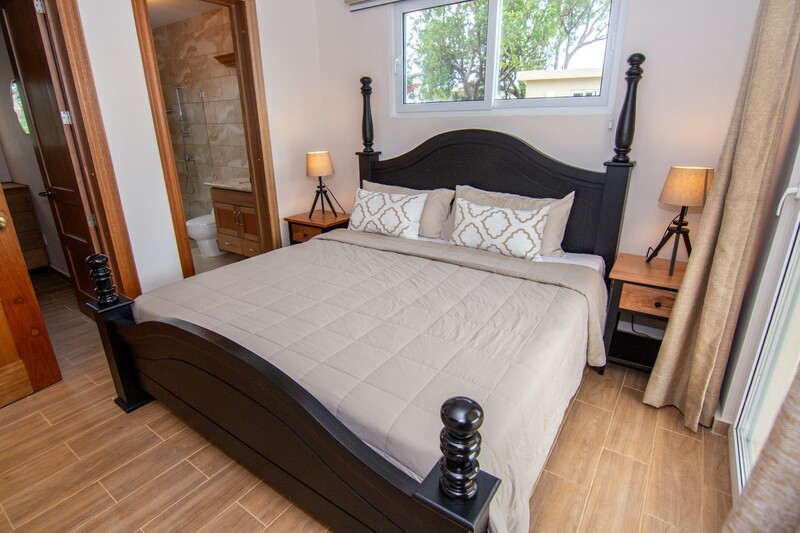 Both bedrooms are en suite with walk in shower/full glass door/American king beds/Hotel bedding/Double top mattress/ black out curtains & blinds to keep your sleeping area cool /AC/Smart TV & Cable. 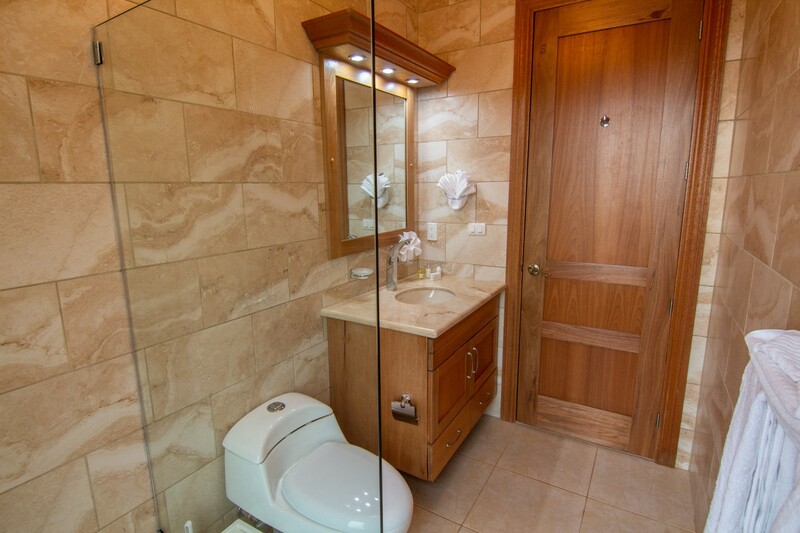 The master has a large walk in closet. 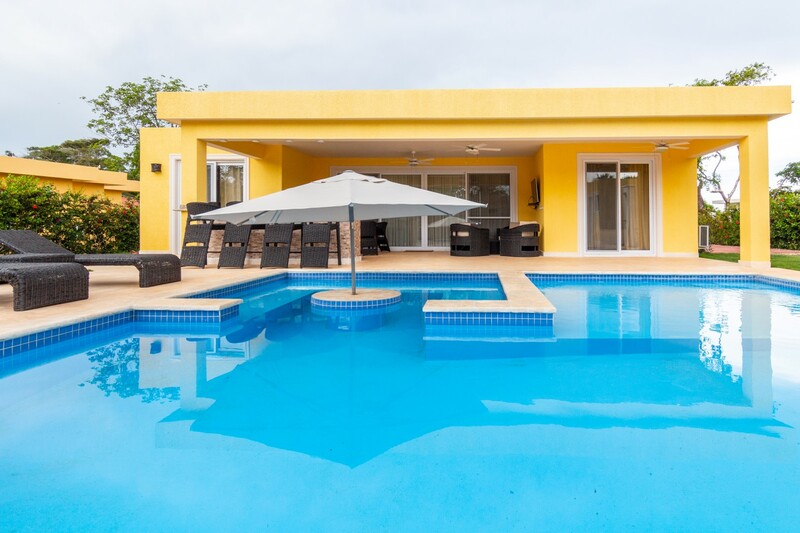 This beautiful home has everything you need to make your vacation amazing. 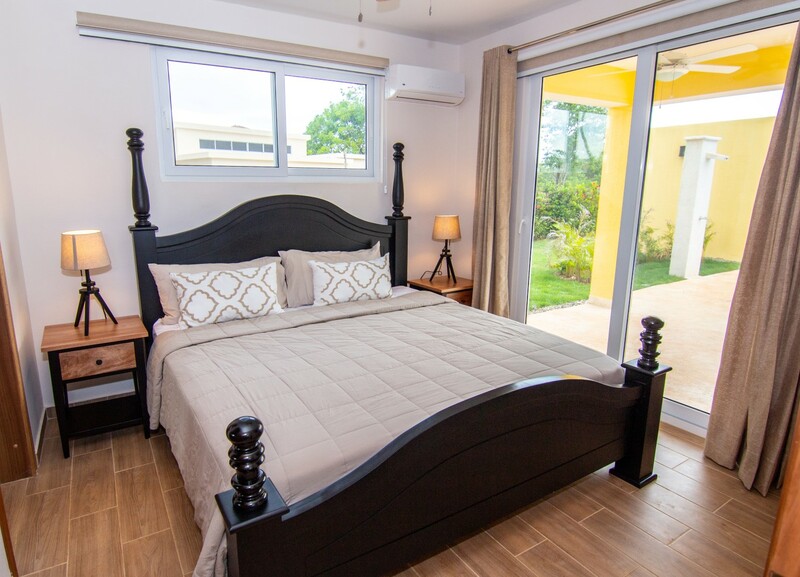 Welcome to Villa 845.